Right. It’s time to go a bit off the wall. 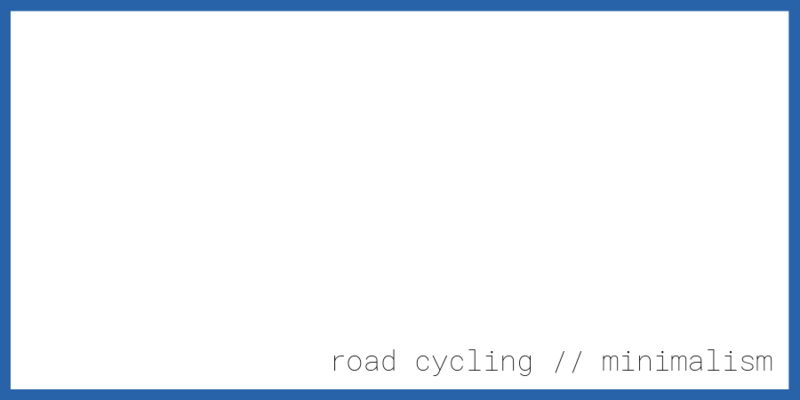 In this post I’m talking about cycling and minimalism. 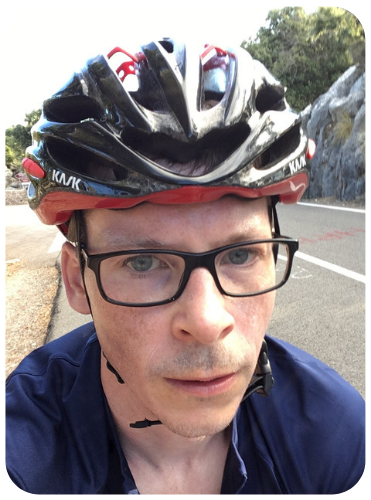 I decided to write about the topic because I’ve been thinking about minimalism (and the potential benefits) in my life more generally and I wondered whether I could wrangle some cycling-specific plus points out of the subject. Also, you know, it’s my blog and I’ll cry if I want to (write about minimalism if I want to). Well, as far as I can tell, the idea of minimalism is to pursue having less stuff. Having less stuff comes with benefits. Having stuff has a cost associated with it. It might have cost money (potentially lots of money) to buy the stuff. It might cost money to look after it, maintain it, insure it. There may be a less visible but no less tangible cost to having something. A full timetable of weekly activities and a to do list brimming over with ‘to dos’ carries a mental weight that you might have to carry. Minimalism seems to be the active pursuit of less with a view to achieving greater life satisfaction (whatever that means). Okay, this is not going to be a comprehensive guide. I’m no expert on cycling and I’m certainly not on achieving minimalist nirvana. But here are some thoughts. I regularly (like once a year) find myself pruning my wardrobe and chest of drawers of clothes that I no longer wear. Previously smart (or at least passable) attire gets downgraded to gardening wear. Clothes that were previously acceptable but now make me look like a cartoon tramp get chucked (recycled). I’ve actually done this once with my cycling clothing. I must care more about cyclo-wear than normal vestements though. I found the process quite hard. You never know, says my chimp mind, if I put together a series of daily training rides and the washing machine doesn’t go on, I might need this cycling jersey which doesn’t fit, is seriously unflattering and is my seventh choice of top. 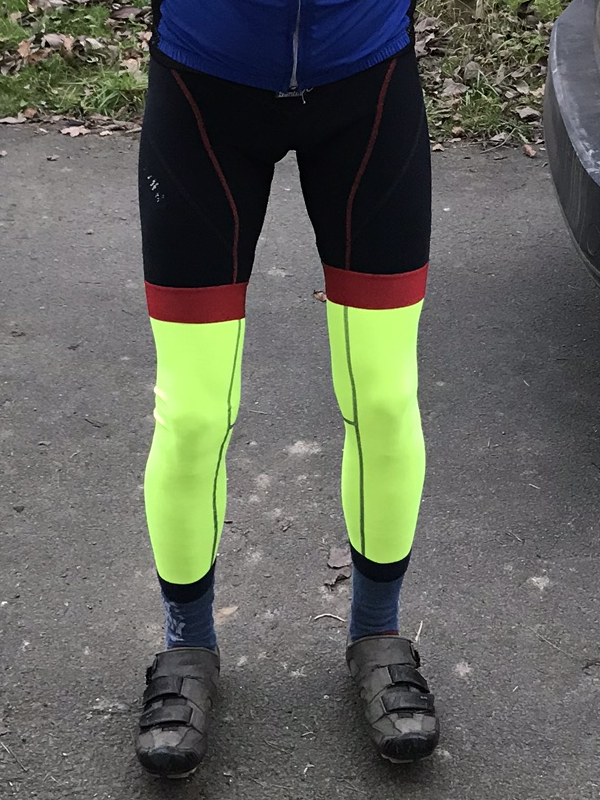 Anyway, with my chimp mind put firmly back in its box, a few months ago I successfully got rid of a few charity jerseys, a pair of non-bib shorts and a pair of ‘bib Capri pants’ (I think they were actually three quarter length tights, but the look never sat right with me). My wardrobe and I felt better for it. It’s probably time for another pass. There’s a couple of jerseys from Princess Alice Hospice that, whilst I think fondly of them, are unlikely to get worn again. 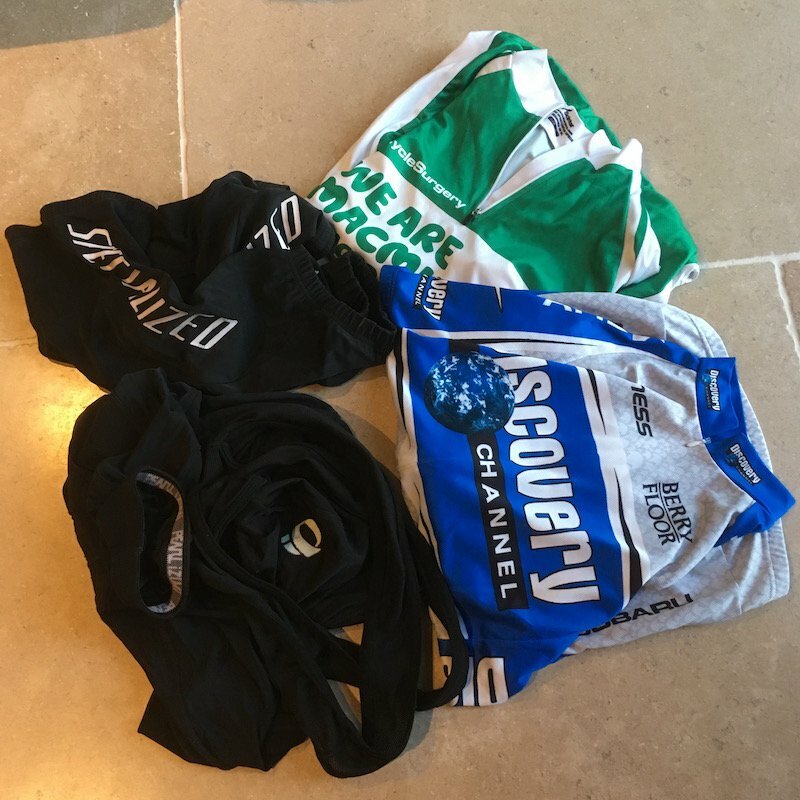 My Discovery Channel bib shorts are due for retirement – the fact that the pro team hasn’t even existed since 2007 indicates their age. Let’s just say that the bum pad is … not fit for purpose. So that’s the Kondo-fication of my velowardrobe sorted, what’s next in our minimalist quest? Wow, straight in there with the deep philosophical questions. When I did RideLondon last summer, I was a bit disappointed that two of my friends had top tube bags. If you’re struggling to picture it, imagine a Blackadder-style codpiece just behind your handlebars, there to carry and provide easy access to gels and energy bars whilst on longer rides. I imagine there is a certain sort of cyclist that feels the same when he (most of the puritans seem to be male) sees a saddlebag secured under my saddle. But I can appreciate, as a proto-minimalist, that it would be great to eschew the saddlebag. Embrace the clean lines. Feel the wind beneath my saddle. To be honest, on most rides, the contents of my saddlebag tend to be pretty minimal. My set of Park Tool tyre levers, a bike multi-tool (Crank Brothers I think) and a spare inner tube (I’ve been buying Continental Race 28s recently). These are all pretty important items to carry on a ride. I’d be kicking myself if I didn’t have any of those bitbobs with me and I had a puncture. I guess the minimal bit is the fact that I wouldn’t have the saddlebag. I’d have to carry the gear somewhere though, which means in a jersey pocket. Is it minimalist though if the act of sacking the saddlesack introduces inefficiency and risk (yes RISK!) into my riding? All of my standard saddlebag contents generally reside … in my saddlebag. Given that they’re there, and the bag is semi-permanently attached to the bike, I’d have to work pretty hard to forget them. Even if I employed the wunderidea of putting them in my ‘go box’ (have I told you about my go box? ), I’d still have to remember to take each item out and pack it into my jersey pocket. That is a recipe for forgetting something on a semi-regular basis. With my jersey pockets also needing to carry my mini-pump, waterproof (sometimes) and my iPhone, and potentially fuel on a longer ride, I’d need to spend more time packing them in an organised fashion for on-ride access. All of which leads me to contend, m’lud, that the act of getting rid of my saddlebag would be one of folly and not minimalism. But as I said, what do I know about minimalism? You’d be forgiven for thinking I’m done with talking about jersey pockets for one post. And you’d be wrong. I’m not sure that this falls under minimalism. In fact it definitely doesn’t – it involves purchasing and then carrying an additional item. It’s more along the ‘being more efficient and organised’ line. For Christmas I bought my (cyclo-)brother-in-law a ‘RidePac’, made by VeloPac. It’s essentially a pouch made out of waterproof tarpaulin fabric (the website tells me) with a soft padded interior. 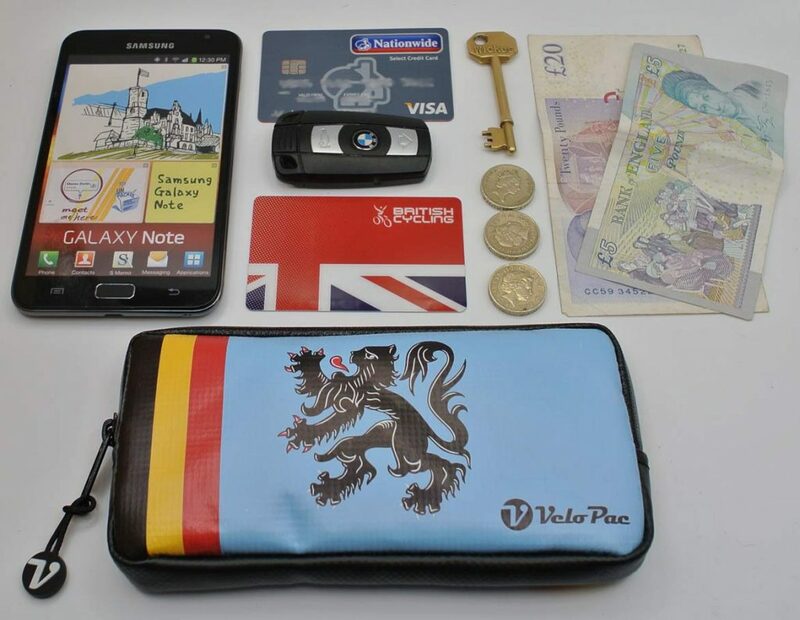 You use it to carry a phone, bank card, some cash, keys etc, all in one place. It is sized to fit in a jersey pocket (presumably to maximalise its usage). More importantly, for my b-in-law’s present, the one I got had a cool Belgian colour scheme and a Lion of Flanders motif. There are loads of other quirky designs plus some plainer ones. You can buy a similar thing from Rapha. As I did following my Velopac purchase, as a birthday present for another friend that velos. As I say, it’s not minimalist to go out buying more stuff (though minimalists do seem to like their clever pieces of luggage…) but I can see that having a RidePac or similar does minimise the clutter in your jersey pocket, making it easy to retrieve things at your next cafe stop. How Many Gears Do You Need? So far so obsessed with the contents of sacks. I’ve also been thinking about gears and minimalism. I’ve recently started to buy in to this whole gravel bike riding thing. Adventure riding. It’s more about the journey than how fast you ride it. Clearly that means I need a new bike (theoretically). The one I have my eye on is the Ribble CGR. In an ideal world the titanium one, a more realistic world the rather attractive new steel version. It seems that the CGR (stands for Cross Gravel Road incidentally) is available, in addition to Shimano gear options, fitted with SRAM’s ‘one by’ chainring set up. That means it has a single chainring at the front and a full cassette at the back. The advantage of a ‘one by’ set up is that it has fewer bits (no derailleur at the front; no shifter and cabling to move it), saving weight, reducing the likelihood of things breaking and making the whole fandango marginally easier to clean. So there you go, short of going with a single speed (not ideal when riding hills) or a fixed gear (illegal, unless you also fit a front brake), a single front chain ring seems like a practical approach to bringing a little minimalism to the cycling party. Talking about hills though, gearing is an area where I don’t want to be too minimalist. The largest cog on the SRAM setup above is a 42, which can be paired with a 42 (or even 44 tooth) chainring to give a 1:1 ratio in its lowest pairing. Uh oh. Now we’re on dangerous ground. Sort that one out minimaleinstein! I have three bikes currently. I’d say I’m satisfied with one of them. The other two…. meh. They were both bought in haste. I’ve repented a bit (in my leisure time). a ‘proper’ mountain bike (whatever that means). Ultimately, you can only ride one bike at a time. A true minimalist would surely have just the one bike (to rule them all). I think we’ve established that I don’t have a robust grasp of the topic I’ve elected to write about. The challenge with being an aspiring minimalist road cyclist, is that there are just loads of bits involved. The clothes probably lend themselves to being a minimalist. 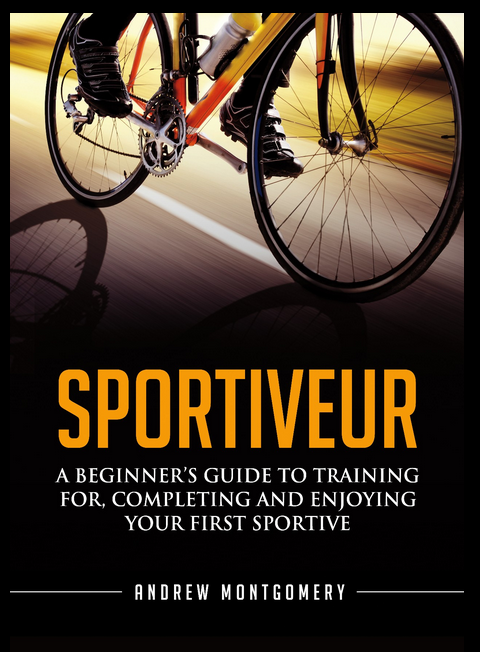 Once you’ve found your perfect battle gear (base layer, bib shorts, jersey) there is a tendency to buy what you know fits (particularly if you’re buying online). Just buy in sufficient quantities to match the frequency of riding versus frequency of washes. Then you just need to get yourself a Castelli Perfetto and you can face most conditions. If push came to shove, you could restrict yourself to one bike. If my Trek Domane had disc brakes rather than rim then it would provide all I need from a road bike. Part of the joy of cycling is the stuff. Having a selection of tools, even if some are used infrequently, allows you to complete maintenance jobs and feel like ‘a real man’. Feeling competent and able to do things surely brings the same sense of satisfaction as not having clutter. As your circle of competence grows, so does the contents of your toolbox (hmm, that came out wrong). (I know this is a straw man argument, by the way. Minimalism isn’t about having less stuff. It’s about having stuff that brings value to your life and eschewing the rest). Equally, if you have a number of bikes, each fulfilling a different purpose (road cycling, trip to the shops, trail ride with the kids), then you’re more likely to weave cycling into your everyday life (which would be A GOOD THING). Also, I really need two bike computers (so that I can compare them for this here blog…). There we end things. Inconclusive. One characteristic that can’t be claimed for this blog: minimalist use of words. Lots of guff to go with lots of stuff. How many bikes do you own (and how many does your significant other think you have)? Are you a hoarder when it comes to cyclo-stuff? Or do you get buy with just one tyre lever? Last year I bought a Boardman CX Team Cyclocross bike in the sales (Aluminium frame, disc brakes, Sram Rival 1x groupset, 42t chainset and 10-42 cassette) for my 12 mile commute to work. I swapped the tyres for slicks and liked it so much that I sold my ‘best’ bike! 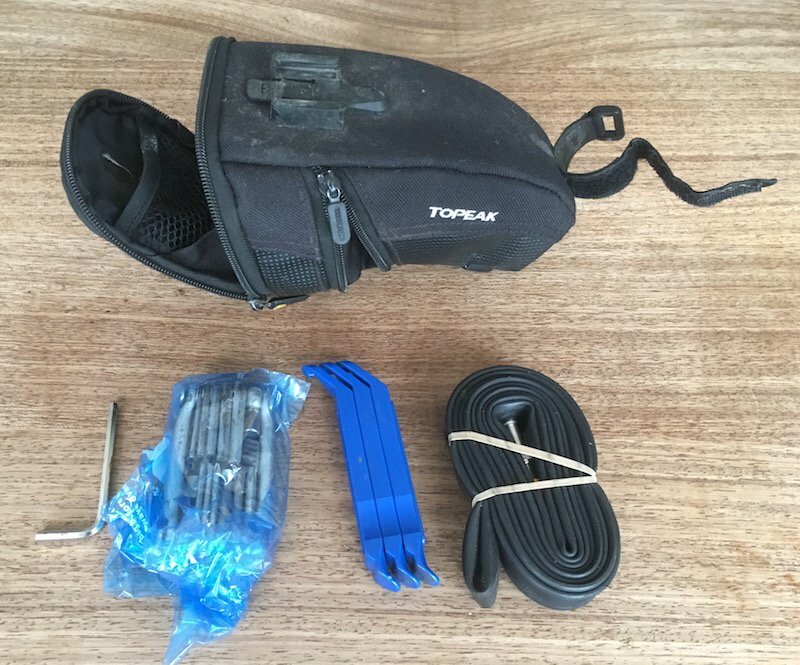 During the week it has mudguards, a pannier rack and lights etc for work but I can take this stuff off and do 100 miles weekend rides without too much bother – I even did the Etape du Tour on it, spinning up the mountains in my 1:1 ratio and still plenty fast enough going downhill too. Not having to think about a front derailleur is a bonus and the gaps in between the gears don’t really bother me either since I’m not exactly riding in a peloton. I also use it to pull a trailer with the kids and/or shopping in it, and if I wanted to I could fit the old tyres back on and go a bit more off-road. If I was looking again the the Ribble CGR would certainly be on my list. The ideal number of bikes is actually n+1=s-1, where n is the number of bikes you have and s is the number of bikes that would make your spouse or partner leave you. Also: s may not be a constant. I have an old charity top (worn once for 101.3 miles) that i will probably not wear again. I am torn between throwing it away (bin), recycling it (and risking that someone gets their “wrong hands” on it) and keeping it in my cupboard. Did you give your charity top to a second hand store or into one of those cloth bins? A bit of advice/discussion would be grand. You being a Brit and me an American, I always find your blog entertaining (and somewhat educational) considering I’m still new to all of these bits about cycling. Thought provoking post. I go back and forth between enjoying tinkering with various tools, kit, equipment, etc. and sometimes feeling bogged down by the complexity — ultimately saying to myself, “Just go outside and ride a bike.” (Also, “…chimp mind” 😁). Having said that, I’ve just ordered the Silca Seat Roll for the n+1 for anticipated long hot Summer (Summer is Coming…) rides where two bottles might be necessary. P.S love reading the blog! Keep it up!